Lori Ann Fowler, age 48, of Tate passed away Saturday, February 2, 2019 at her home. She is survived by her husband, David Fowler of Tate; son, Steven Jones of Tate; daughter, Deann McPhail of South Georgia; son and daughter-in-law, Matt and Tiffany Brooks of Nelson; sister and brother-in-law, Tina and Tony Taylor of Spring Field Tennessee; brother and sister-in-law, Richie and Tammi Walker of Philadelphia, Tennessee; brother, Jerry Jones of Baldwin, Michigan; grandchildren, Heaven Brooks, Sam Fowler, Patience McPhail; brother-in-law and sister-in-law, Hugh and Hollie Fowler; sister-in-law, Greta Black; brother-in-law, Ernest Rutledge. Several nieces and nephews also survive. Mrs. Fowler is preceded in death by her mother and father, Florence Walker and Jerry D. Jones. The family will be receiving friends on Tuesday, February 5, 2019 at Roper Funeral Home and Crematory from 11:00 a.m. until 9:00 p.m.
A Memorial Service will be held 2:00 p.m., Wednesday, February 6, 2019 in the Chapel of Roper Funeral Home with Mr. Randy Walker officiating. 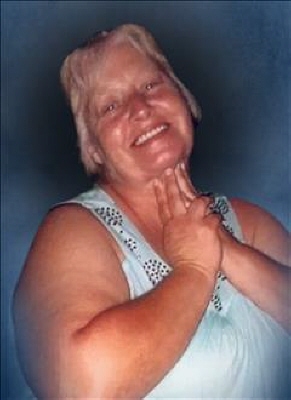 She will remain in the care of the Staff of Roper Funeral Home as she is cremated. To send flowers or a remembrance gift to the family of Lori Ann Fowler, please visit our Tribute Store. "Email Address" would like to share the life celebration of Lori Ann Fowler. Click on the "link" to go to share a favorite memory or leave a condolence message for the family.